Like a good friend, this fleecy, softer-than-soft pullover is there for you. 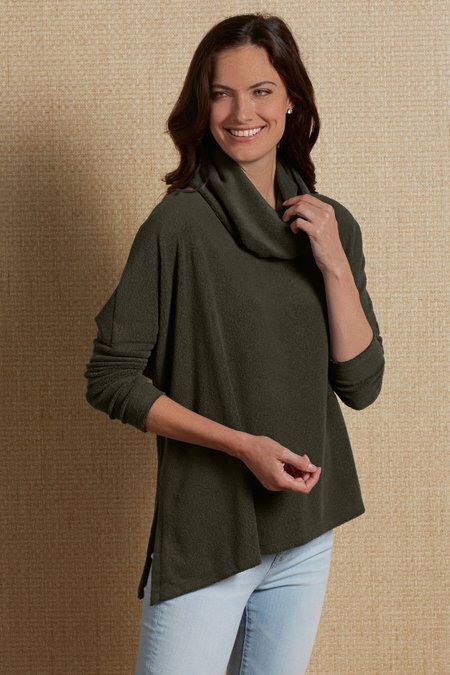 Its plush texture delivers incredibly cozy comfort, with stylish details including an asymmetric slit point hem, dropped shoulders and long sleeves. The one to relax in - or wear it with the 72328 Luscious Infinite Scarf for chic outings. Modal/poly. Misses 25"/28" long.